Aviatrix Aerogram is a free monthly eZine (an electronic magazine) distributed as a pdf file. Aviatrix Aerogram is a fun and informative publication geared for women pilots who may fly airplanes, rotorcraft, balloons, airships, or gliders. 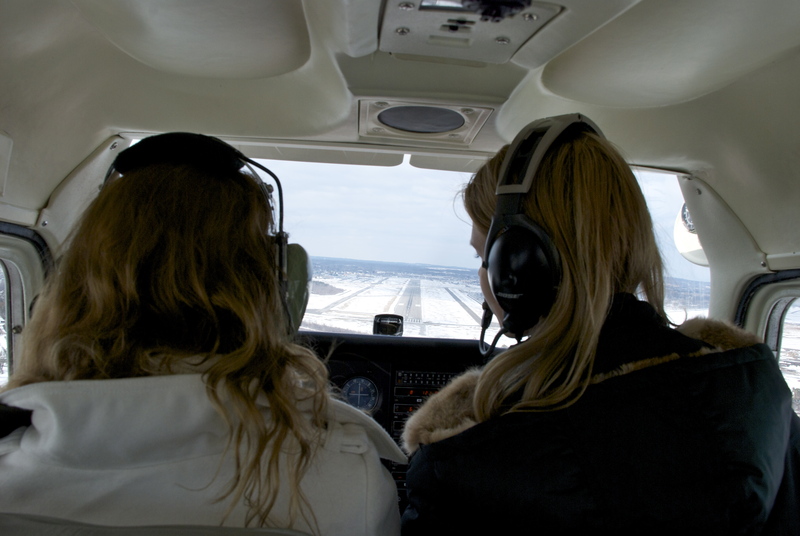 Our readers range from newbie Student pilots up to ATPs, with everything in between. Some fly for fun, some fly professionally, and some are no longer flying yet still enjoy the opportunity to enthrall us with how things were “back in the day” or to live vicariously through the adventures of other women pilots. Aviatrix Aerogram is a place to share stories and experiences. It is a place to celebrate achievements, such as passing a checkride or making your first solo flight. It is a place to learn the fascinating history of women pilots. To subscribe: The distribution of Aviatrix Aerogram is done via email from Laura Smith. A woman pilot may subscribe by emailing laurasmith (at) aviatrixaerogram (dot) net with “AA OPT IN” in the subject line. It is appreciated if you indicate in the email your pilot certificate type and the city/state/country where you live. 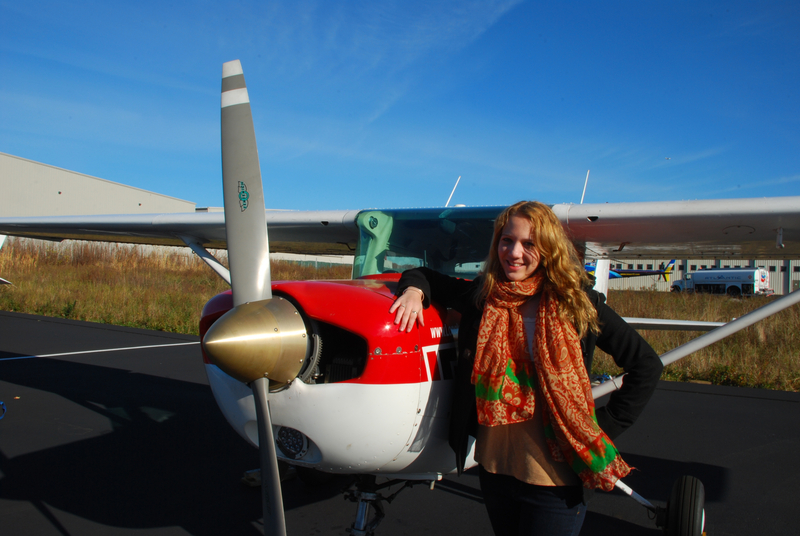 I recently earned my Private Pilot certificate after nine months, 68 hours, and three flight instructors. My training might have been a lot different if I had started with my current instructor, but I’ve learned valuable lessons from flying with other instructors, not only about flying, but what I want and need from a CFI. I considered myself lucky when I was paired up with a female instructor for my discovery fight; I was expecting a man. Quickly, I realized I wasn’t only paired up with a female instructor, but also Gulfstream Girl, the model turned pilot famous on Facebook. She had recently earned her CFI to teach in 172s in addition to flying Gulfstreams as a corporate pilot. I had followed her on Facebook before I began training. To me, she definitely made flying look possible and helped solidify my interest going into training. I quickly scheduled another lesson with her. Here’s the catch I was ignoring: she only instructed in a Cessna 172, while I wanted to go for my Sport Pilot certificate. I let myself be pushed into more lessons because I thought she was cool and the promise she would be checked out in the Tecnam Eaglet soon. This promise never came out of her mouth, just the flight school’s receptionist’s. My boyfriend rode along on my second lesson. After that I knew I needed to make up my mind: stay with her or switch? I scheduled a third lesson, still unsure. It was hard to schedule lessons with her corporate job canceling lessons left and right. 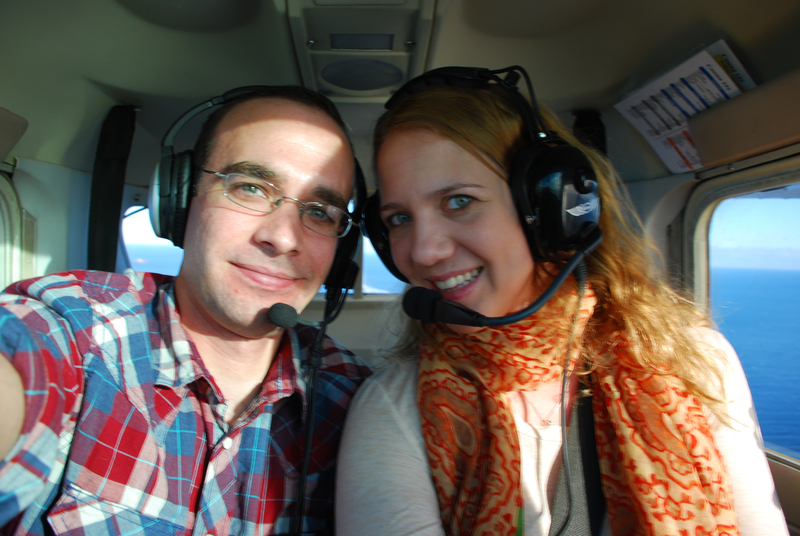 I got advice from a few other pilots, including my boyfriend. He wanted me to train with someone who challenged me more. His friends’ inputs were to fly with an instructor whose mind wouldn’t be elsewhere, but focused on me and helping me learn to fly. I finally made the hard decision and switched instructors, still trying for the Sport Pilot certificate at the same school. Coincidentally, or maybe not, I was paired with the only other female instructor. My first lesson in the Tecnam didn’t go well. The plane had trouble starting (it had been sitting on the tarmac without being flown for weeks). It was March and still pretty cold, so my oil temperature alarm was going off and my CFI couldn’t figure out how to stop it. She pushed me to go in the Cessna 152 to at least fly. I wasn’t good at standing up for myself; therefore I caved and we flew in the 152. Everyone at this school pushed me into doing a Private instead of Sport Pilot. At home, my boyfriend pushed for the Sport because I’d only use those privileges. I felt caught in the middle and miserable. I succumbed to pressure and went the Private route; I had planned financially for that anyway. I continued at the same school. My original plan was to fly two to four times per week so that I could get my certificate quickly. I hadn’t planned for all the scheduling setbacks with my CFI and weather-related cancellations, so my progress stalled. This second CFI had another job–later I learned two other jobs–and a bunch of students. Weather was working against me in spring on the east coast and I’d typically get one lesson in a week, two if I was really lucky. My instructor also was gone at least a week out of the month, every month. Once both 152s were gone for two weeks. I spent from the end of April to the end of July being “close” to soloing. Every lesson, I was told “just a few more lessons before you solo.” My progress came grinding to a halt. I wasn’t flying enough at this critical point and couldn’t figure out what was wrong. In those three months, I had about ten lessons. Weather was bad. I was pushed into flying the 172 one day because of strong winds. I tried to argue at this point in my training I didn’t want to switch back and forth between planes. It wouldn’t help me solo, I believed. I felt pressured and caved in after ten minutes of fighting against it. In July, I wasn’t having any fun at all. After a horrible progress check with another CFI, I felt I was going to vomit every time I thought about soloing. I didn’t see it ever happening. My CFI got called in for her corporate job that I didn’t know she had. She suggested I fly with another CFI as to not waste a lesson and get a different perspective. Great! I was already struggling with the emotions of changing CFIs but it was difficult for me because we got along great. I liked her and we bonded, chatted about our boyfriends, family issues, etc. I didn’t want to offend her by switching, but this seemed to be the perfect opportunity. When I went out to the airport to fly, there was “an oversight.” They changed me from the CFI my instructor placed me with to another guy who couldn’t fit in the 152. They searched for another CFI. My original replacement was flying in a light sport (Oh, so they do work, I thought to myself). My only other option was the guy who did my progress check. I was too terrified to go through that again; thankfully he said he wasn’t available. Maybe he didn’t want to go through it again either. I left the airport feeling upset and unaccomplished. This was a real waste for me since the trip involved taking a subway to a regional rail and walking a mile, which was four hours round trip. This was the last straw in my book. I’m not ashamed to admit, I went home and cried. I cried because I didn’t know what to do. Should I quit? Should I change schools since there didn’t really seem to be anyone else for the 152? I was very emotional, so I gave myself a day or two to calm down. I didn’t have a lesson scheduled for another week. I had some time to think. myself back a few hours. I called one of the schools with a 152 and left a message. Less than 30 minutes later I got a call back from one of the owners who was also an instructor. We talked for about 20 minutes, which was longer than I ever talked to anyone at my previous school. The instructor was available to take on another student, and he sounded passionate and like a great guy. I explained my worries and woes to him and he understood. I was able to schedule a flight with him a few days later. That flight I truly enjoyed! Oh, this was what it’s supposed to feel like after a lesson! I knew then I had to switch to this school and instructor. I called and canceled all my other lessons at the old school (I kept them as a backup if the alternative went south). I’ll confess, I did the cowardly thing and did not call my instructor personally to tell her what happened. I received a text from her later that day asking what happened. Again, I chose the cowardly, but still truthful, route. I said I had had enough of the school. I enjoyed flying with her, but couldn’t put up with the school anymore. It was strike three. She was disappointed, but said she understood. She asked whom I’d be flying with and I told her. She said she knew them and said they were good. With my new school, I was able to schedule two more lessons that first week, something that was never possible at the previous school. 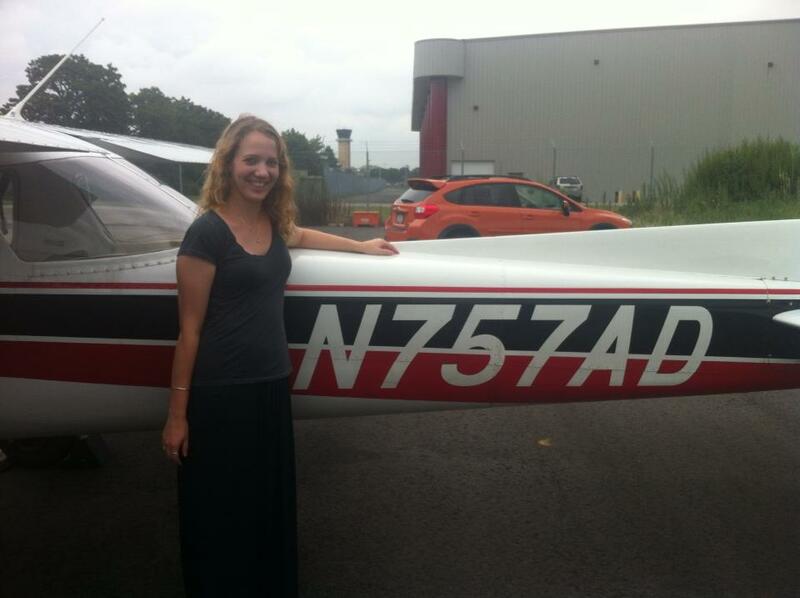 Within a few lessons I soloed! It was an amazing feeling. I went from feeling like vomiting thinking about it to not being nervous at all. I believe this breakthrough was because the new CFI was a better fit for my learning. Ironically, it turned out I am a little short and needed a cushion to sit on for a better view. I figured this out after my new CFI nitpicked my climb out speed. I recalled that my old CFI used a cushion, but since I was a good 4″-5″ taller than her, it didn’t cross my mind that I was too short as well. I have absolutely no regrets about changing instructors and schools. It was the best thing I did for my training and myself. I do wish I had changed sooner, but I needed to learn exactly what I wanted from my training and be able to articulate it. Post-solo, I understood the need to always be thinking of the next step. I diligently asked my CFI about what we would do on the next lesson and prepared the best I could beforehand, whether it was by planning a cross-country or chair flying maneuvers before climbing into the plane. I’ve met other instructors at this new school. I’m not sure if they’d be as good a fit as my current instructor. When I started my flight training, I didn’t understand the importance of really interviewing potential instructors. It was an expensive learning experience, but fortunately I was still able to come out of it on the other side successfully.